Mark your calendars for Purim 2019 on March 20th and 21st! To make the long story short, we know Haman is plotting to kill the Jewish people and Esther becomes queen just in time to admit she is Jewish and saves allllllllllll her people. There are four mitzvot we are able to perform in order to observe Purim and shockingly none of them include having a costume party. Check out the resources below to see how you can celebrate this year! Check out this PDF if you want the Megillah in Hebrew AND English. Did you know there are blessings before the Megillah reading? More importantly, did you know there is a Megillah Man? Check out his YouTube video to learn them! Want the TL;DR version? MyJewishLearning has a great article about the themes and theology around Purim and serves as a great source to guide a discussion. 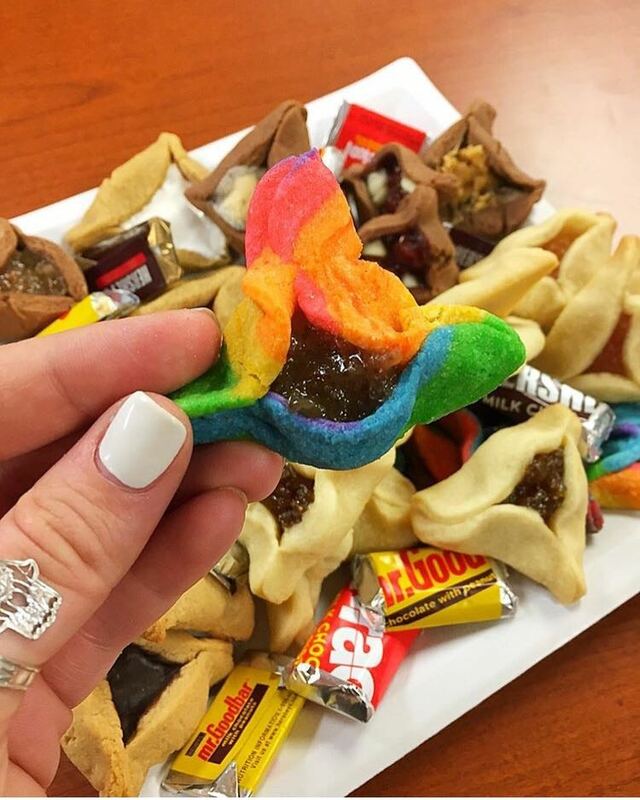 Test your knowledge of Purim foods with this quiz! One Green Planet came out with a vegan Purim feast recipe guide, which is a sure way to try new foods and accommodate dietary restrictions galore! If you want to stick to more traditional sweet hamantaschen you can also attempt to recreate this tray I indulged in of candy filled ones last Purim! Don’t know what mishloach manot are? Check out this MM101! Chai and Home slays with this mishloach manot Pinterest board. You definitely need to take a peek! If you gather your friends together making these gifts can be a great MHWOW program! According to Jewish law, one should give a gift of charity o two people, either money or food as long as you can easily use them on Purim. Although National Muffin Day is in February, you could have a belated celebration as an MHWOW program! Any food you make it mass quantities and gift to those experiencing homelessness is the perfect matanot l’evyonim.There is no harm to adding a costume party element to your program as it is Purim tradition. 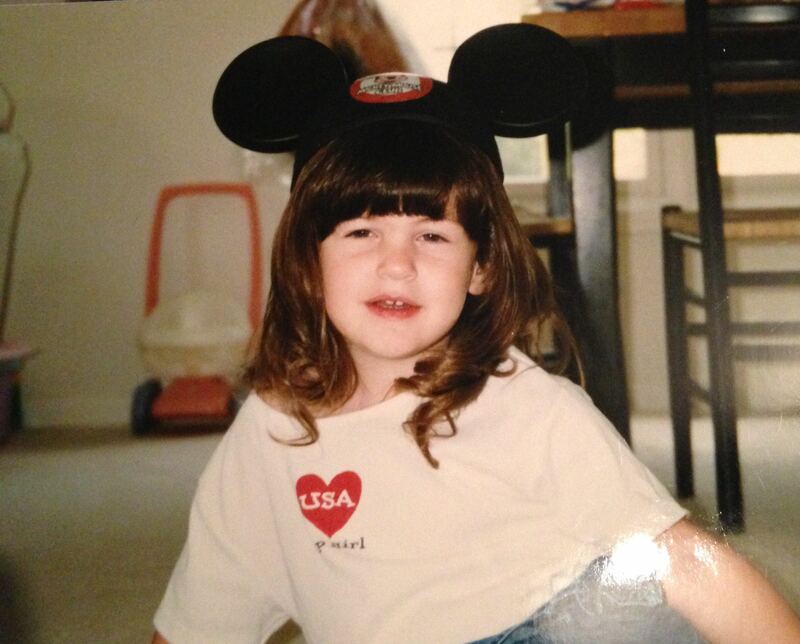 Please see baby Alyssa as Mickey Mouse making her debut circa Purim 1998. Still seeking some inspiration? Check out our resources and program highlights from last year! After you host, don’t forget to share your #MoisheMoment on Facebook and Instagram.